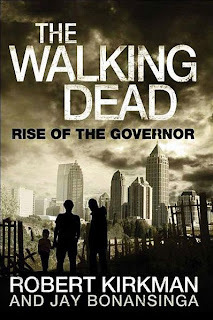 The Walking Dead, Rise Of the Governor was a great book, in my opinion. 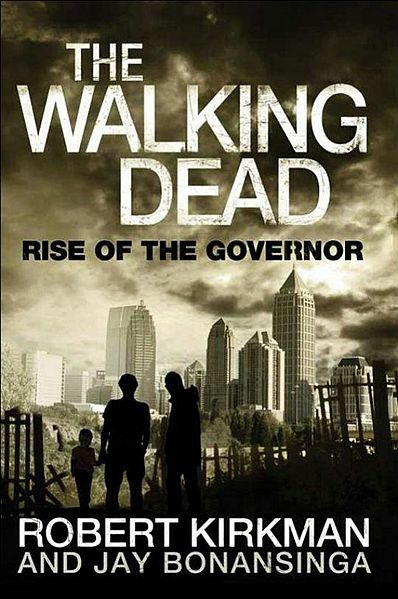 The book is a prequel to the Walking dead comic book series. This story follows Phillip Blake and his brother, daughter, and two best friends. The book is about their "survival" during the "Zombie Apocalypse . For those who are familiar with TWD series (tv or comic), we know how "crazy" The Governor is. In this story, you forget about what we already know. In THIS story he is a family man with a kind heart. He is compassionate about the folks that are in his group and it almost seems as though he would risk his own life to save the life of his closest people. We do SLOWLY see the compassion transform to "crazy" by the last few chapters of the book. The transition is so slow and so well plotted that we can "understand" what makes him start to lose "it". The relationship that is shown between the men and Penny (The Governors daughter) is heart felt. The characters that we come across outside the small group even show compassion for the little girl. We know Pennys destiny, but we are not familiar with what happens. When we learn about that event, you can not help but feeling some sort of emotion. For me, that emotion was sadness. I almost shed a tear because it was very written and the person reading the book is such a great actor. I chose to read along with the audio book The person reading the book (Fred Berman) did a phenomenal job. He was able to change his tone and voice for all the characters in the book. He made it very entertaining. I started off reading the first two chapters and then decided to read along with the voice. I must say, in my mind, I did not get all of that acting done. I read it a complete different way. I was very pleased with my decision to listen while I read. The overall production of the audio made it seem almost as if I were listening to a dramatic podcast or a movie. Don't misunderstand me, there were not any sound effects. I love a story that I can "get lost" in. I was completely lost in this book. I did not identify with any of the characters (mostly because I have never been through a Zombie Apocalypse but i was able to feel something for them. My heart reached out to Penny. I felt sadness when people were killed. I was talking out loud and responding to situations that were going on in the story line. Overall this book was excellent. I would really like to know more. The book has a great plot twist that makes for a perfect ending to the book. Although I would like to know more information on what happens AFTER the ending, it ended perfectly. If you're familiar with TWD series, you can pretty much understand what happens between this book and the TWD. I recommend the audio to this book because its great and I guarantee you will not get the same experience if you just read it alone.